Check out Tobi's Viviana Layered Choker Set Get layering with a statement choker. The Gold Viviana Layered Choker Set features six delicate strands embellished with cut out discs, beads and sparkling crystals. With a hint of boho, this choker necklace set sits just as well with a casual peasant top as it does with night out bodycon. Get layering with a statement choker. 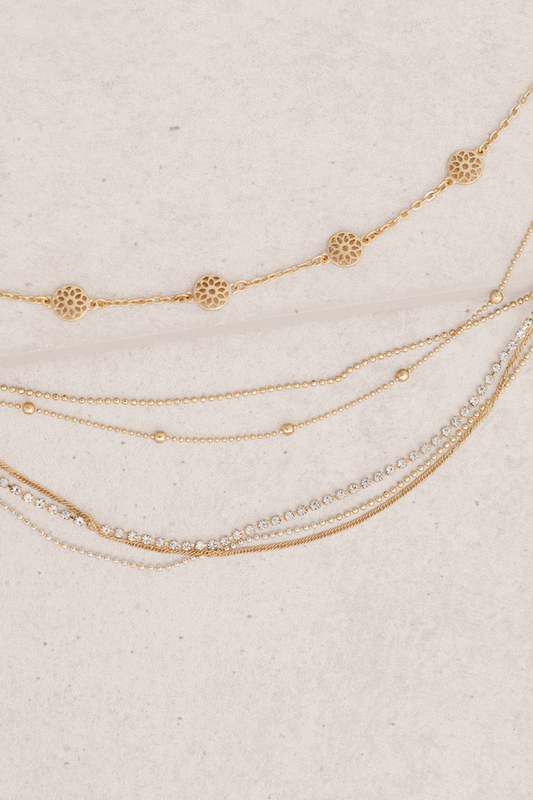 The Gold Viviana Layered Choker Set features six delicate strands embellished with cut out discs, beads and sparkling crystals. With a hint of boho, this choker necklace set sits just as well with a casual peasant top as it does with night out bodycon.